“We mix it up a lot. With my last record, Sweeter, we had a lot more modern stuff, but it didn’t necessarily sound like brand-new modern. It’s funny how popular music is going down this funny path, getting more and more and more primal as far as rhythm is concerned and at the same time getting more modern as far as sounds are concerned,” DeGraw says. A big part of career longevity is finding inspiration to create, and DeGraw says workstation/ keyboards, often featuring thousands of sounds (like the Yamaha MOTIF XF8), have played a big part in that process. “One of the beautiful things about having those techy, tech-head kind of keyboards is all those nutty sounds that you think you would never use. They literally lead you down the road to writing songs that you would never write. The MOTIF has tons of these little sounds. You start tweaking the filters and things like that and it starts leading you down different writing paths and it’s a way of finding inspiration, just based on sounds,” DeGraw says. 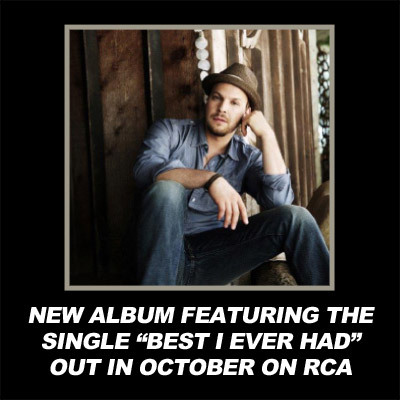 DeGraw says “Best I Ever Had” takes almost a stream-of-consciousness approach, combining several stories, lots of little ideas, moments and emotional bits—Ultimately, with each chorus getting back to that object of affection. DeGraw says the upcoming record, Make a Move, embraces the current landscape of pop music, and features a variety styles, sounds and lyrical approaches.